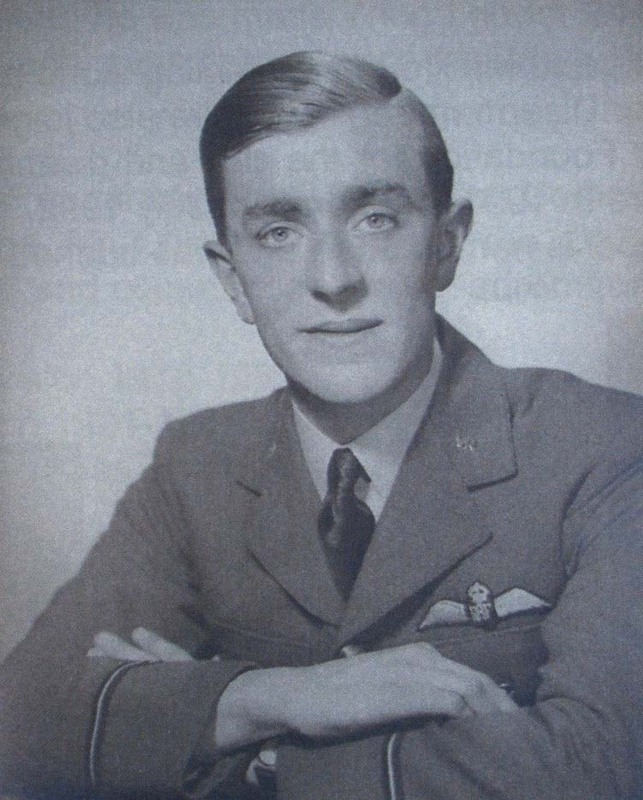 Tom Hughes was a 19 year old when he volunteered for the RAFVR in 1940 and won his wings the next year. He was initially disappointed to be sent to the Central Flying School in Wiltshire to instruct new pilots but many of his fellow officers lost their lives in missions at this time. He went to North Berwick to train on night fighters, the Blenheims and Beaufighters but his ambition was to fly Spitfires. This was soon realised after further training at Grangemouth and Biggin Hill. Tom was part of the vast assembly of air power built up in North Africa and Malta in 1943 to cover the invasion of Sicily. After the German retreat from Sicily Tom was testing a captured German Messerschmidt when the plane crashed into a vineyard but fortunately he had baled out. Surviving a crash by using his parachute made him eligible for membership of the unique Caterpillar Club, whose members were awarded a tiny gold caterpillar by the owners of the American firm who made the parachutes, IRVIN. As the Allies pushed into Italy Tom was No 2 in the 43 Squadron, commanded by a Polish pilot, and he was flying very long hours. On 18 December 1943, he was on a mission around the fiercely contested Monte Cassino when his Spitfire took a hit from the German anti-aircraft batteries. The next thing he knew he was in a Field Hospital with a German padre saying prayers over him. At least they had saved his life! Tom suffered severe injuries with badly burned lower limbs and a cracked head. He was eventually moved to a prison hospital in Stuttgart where he spent over a year before a prisoner exchange brought him back home. He was highly amused to find that he was swopped for 3 Germans. After the war Tom went up to Cambridge to read Mechanical Sciences and at the same time he was chief instructor to the undergraduates in the gliding school. These three years helped both his recovery from wartime trauma and to readapt to civilian life. In 1947 Tom met Joan when his sister invited some girl friends for the weekend. Ever the beau, he hired a plane for the afternoon and took the girls flying. They were terrified and thrilled! He said that Joan 'passed muster' and last June Tom and Joan celebrated their diamond wedding. Tom worked for a number of major companies before coming north in 1968 to work for Ronson. He died aged 89 years on the last day of 2010. Tom was a most hospitable gentleman and a great raconteur. Loved by all who knew him he will be greatly missed. 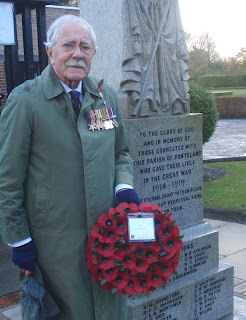 He is survived by Joan, his widow, who was awarded the MBE in 1983 for her work as county organiser of the WRVS and she is a former Captain of Ponteland Ladies golf club. Tom as a young officer in the RAF.